In my early years I was constituted in the exacting imperatives of philosophical analysis. That stern face is present in the composition of the Newton essays chosen here for republication. 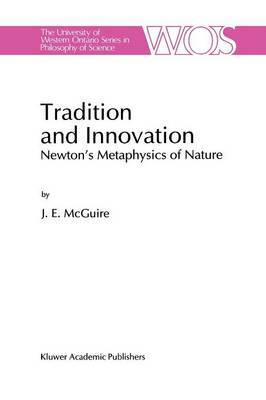 It is my hope that potential readers will be patient with the old Adam of analysis, and seize the portrait of Newton's intellec- tual world presented in these essays. It is gratifying for me to acknowledge the encouragement of Robert Butts and John Nicholas of the University of Western Ontario, intellectual comrades in arms. It was at Western that I began my intellectual journey, and many of the present members of the Philosophy Department remain my friends and mentors. I thank also Marta Spranzi- Zuber who long ago believed in the merit of my Newton scholarship. But most important to me is the sustaining encouragement of Professor Barbara Tuchanska, who shares my vision of the historicity of scientific thought. It is a pleasure to express my gratitude for membership, over twenty years, in the Department of History and Philosophy of Science at the University of Pittsburgh. It is the mecca for one who seeks to understand. J. E.